In the seventh season of The Walking Dead, Heath went missing without much explanation or without clues to his fate. This was an intentional move, as it allowed actor Corey Hawkins to take on other roles in movies and TV. Luckily, Walking Dead creator Robert Kirkman confirmed at New York Comic Con that it's only a matter of time before Heath returns to the series. "Corey Hawkins...there is an intention to bring him back eventually," Kirkman said. "He had an opportunity to go do that 24 show, we wanted to be facilitating and allow him to do that... hopefully there is every intention that we get Heath back. It's in contract land, so... Corey is amazing. Kong: Skull Island, that 24: Legacy show he was on was super cool!" These comments confirm the insinuations made by showrunner Scott Gimple earlier this year when speaking with Entertainment Weekly. The showrunner did make it a point to explain there's "not a huge chance" that we'll see Heath in the upcoming Season 8. Whether this means they have no plans for the character at all or if Hawkins' schedule was too hectic to appear in this new season is uncertain. Additionally, while Kirkman does hint at Heath's return, we don't necessarily know what condition he'll be in if it ever happens. Whether he could appear as a re-animated corpse or possibly working against our heroes is entirely up in the air. The Walking Dead's sibling series Fear the Walking Dead airs Sunday nights at 9 pm ET on AMC. The Walking Dead will return for its eighth season on October 22, 2017. 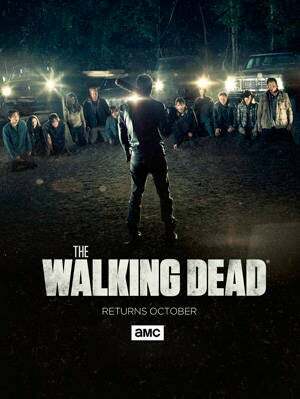 The Season 8 premiere will mark 100 episodes overall for the popular AMC series. For complete coverage and insider info all season long, follow @BrandonDavisBD on Twitter.